Hey! Do you want to know about what is Active Transport its Types and Examples? Before drive in, we will first go through the insights of this article. Active transport is a process in which polar or charged solutes are transported across the membrane against the concentration gradient by using energy. These solutes are unable to cross the membrane by any form of passive transport as they need to move against the concentration gradient, so they take the path of active transport. The active transport due to its energy requiring factor for a carrier protein to move solutes against the concentration gradient it is considered an active process. 1. The energy released in the hydrolysis of ATP is used in the primary active transport. 2. The energy present in the ion concentration gradient is used in secondary active transport. Energy in the form of ATP is directly used in the transport of molecules across the membrane against the concentration gradient. Energy in other forms than ATP is used to transport molecules across the cell membrane. The energy stored in the ion concentration gradient is used in secondary active transport. The two processes viz. endocytosis and exocytosis accomplish the process of active transport. In exocytosis, the materials are moved out of the cell by fusing them with the plasma membrane of vesicles inside the cell. In exocytosis opposite of the endocytosis takes place as the materials are moved into the cell. Antiport pumps are used in the transport of two or more different molecules in the opposite direction. Due to the use of only one ATP in doing these two separate tasks the antiport pumps are considered as extremely efficient pumps. The important example of the antiport pump is the Sodium-potassium pump, which we will discuss in detail under the headline Examples of Active transport. In symport pumps, the molecules are transported via diffusion gradient from the areas of higher concentration to the areas of lower concentration. In the symport pump, the molecules or substances that move from an area of higher concentration to an area of lower concentration also carries another substance or molecule with it against the concentration gradient. The important example of symport pump is the sodium glucose transport protein that is described in detail under headline examples of active transport. The endocytosis is that type of active transport in which large substances or we can say a large amount of ECF or extracellular fluid is drawn into the cell. Being the highly selective type of endocytosis this process is used by the cell in taking up of specific ligands. The specific ligands that are transported via receptor-mediated endocytosis include LDLs, transferrin, some vitamins, antibodies, and certain hormones. The cells called phagocytes are only cells in the body that have the ability to perform the process phagocytosis. Examples of phagocytic cells in the body are neutrophils and macrophages. It is also known as pinocytosis in this type of endocytosis the tiny droplets of extracellular fluid are taken up. The process of bulk-phase endocytosis takes especially in the cells involved in the process of absorption example absorptive cells of kidney and liver. This process being opposite to endocytosis is used to carry materials out of the cell by the formation of vesicles inside the cell. The cell uses exocytosis to transport substances like hormones, antibodies, and enzymes formed within the cells to the sites in the body where these substances are needed. The proteins formed in the endoplasmic reticulum are ultimately moved into the Golgi complex of the cell. The Golgi complex consists of various sac-like structures called cisternae that give it a cup-like shape. The Golgi complex packages and processes the products and fuses with the cell membrane. As the vesicles become part of the cell membrane they pour the processed products into the extracellular space. The sodium-potassium pump is an important active transport pump that is used to move sodium and potassium in the opposite direction against their concentration gradient into and out of the cell. This task of moving ions in and out of the cells seems to be a very simple task but it consumes about 20-25% of energy generated from the food. The nerve cells generate nerve impulses due to the concentration difference between inside and outside of the nerve cell. In addition to this, the ion concentration gradient is involved in doing various physiological activities such as muscle contraction, sensations and even contraction of heart muscle etc. Sodium-glucose transport protein is an important example of a symport pump which binds to 2 Na+ ions and 1 glucose ion. The former wants to move into the cell while as latter wants to stay outside of the cell. In this way, the glucose is carried into the cell without the expenditure of ATP. However, ATP is utilized by the sodium-potassium pump in keeping up the sodium gradient so that the sodium glucose transport protein can function properly. The white blood cells or leucocytes engulfing pathogens in the body is an important example of endocytosis. The white blood cells have the ability to recognize the foreign harmful bodies that are usually not present in the body which may be bacteria, after recognizing the foreign body it is bounded and then taken into the cytoplasm. After entering into the cytoplasm is then subjected to lysosome which contains powerful chemicals and enzymes to digest and breakdown the organic matter. In this way, the white blood cells digest the foreign invader. Biology HubSpot: Biology HubSpot is a standard blog useful for all Biology students and teachers. 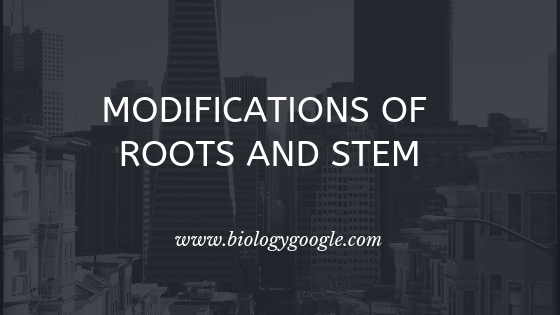 In biology HubSpot, you will get to the point material of biology. Below are our social media sharing platforms, on which you can follow us and remain in connection with daily published articles. Hii, my name is Musaib Manzoor. I am 19 years old BSc student(&blogger) of SKIMS very much interested in blogging. I started this site to write articles about my most passionate subject so that I can help others even myself by learning new information on a daily basis. 💙 Consists of cells which have lost the power of division temporarily or permanently. 💙 Formed by differentiation of meristematic tissues. 💙 Maybe living or dead. 💙 Cells of permanent tissue are arrested at the Go or G1 stage of the cell cycle. 💙 Made up of mature cells. 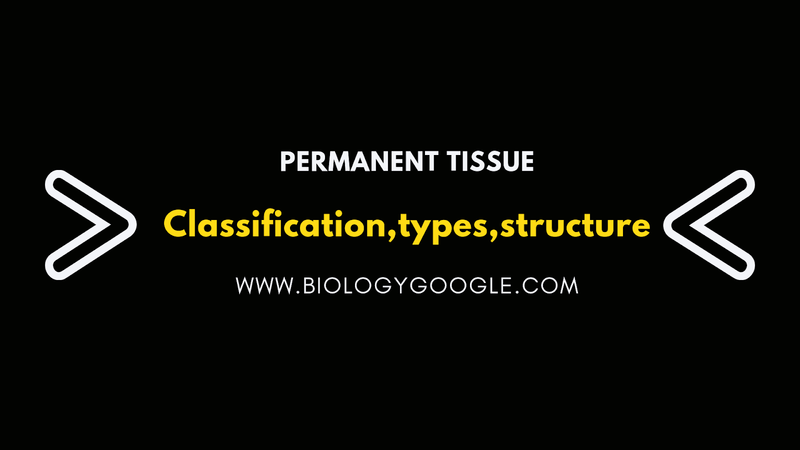 ➤ Simple permanent tissue or homogenous tissue. ➤ Complex permanent tissue or Heterogenous tissue. ➤ Special tissue or Secretory tissue. 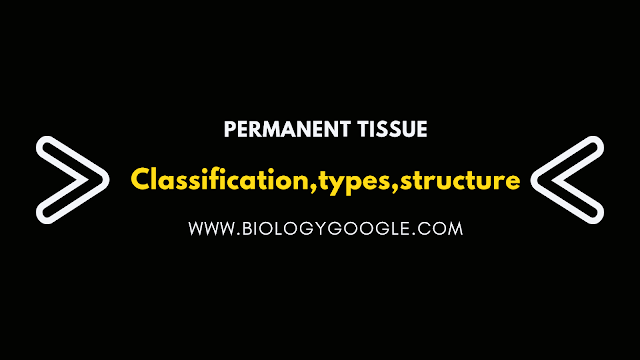 ⚈ Simple permanent tissue is made up of structurally similar types of cells that perform a common function. ⚈ Simple permanent tissue is of the following 3 types. ⚈ Very primitive and first evolved tissue. ⚈ All other tissues are derived from parenchyma, so it is also known as fundamental tissue or precursor of all other tissues. ⚈ Termed by N. Grew. ⚈ Present in almost all the parts of a plant like a root, stem, leaves etc and is thus a universal tissue. ⚈ The pulp of fruits and body of bryophytes mainly contains parenchyma. ⚈ Living storage tissue of thin pectocellulosic cell wall i.e. pectin and cellulose. ⚈ Each cell has a large central vacuole and thus associated with the storage of food. ⚈ The most common tissue and is morphologically as well as physiologically unspecialized. ⚈ Parenchymatous cells are spherical, oval and polyhedral in shape. ⚈ Found in the cortex, pericycle, mesophyll of leaf, floral parts, pith, medullary rays etc. a) Prosenchyma: Fibre-like elongated, pointed and thickly walled parenchyma is prosenchyma. It provides mechanical support and is present in the pericycle of the root. b) Aerenchyma: Made up of round or spherical cells that surround large air chambers. Found in the cortex region of hydrophytes and thus provides buoyancy to them. c) Chlorenchyma: Found in the mesophyll of leaf and contains abundant chloroplasts and thus performs photosynthesis. d) Stellate parenchyma: Contains star-shaped cells, found in the leaf base (pseudostem) and petiole of banana leaves to provide mechanical support to them. ⚈ Some parenchymatous cells store waste materials called idioblasts. 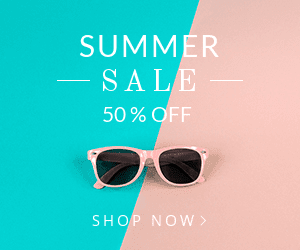 The idioblasts store tannins, oils, calcium oxalate crystals etc. ⚈ As chlorenchyma, it performs photosynthesis. ⚈ As Aerenchyma provides buoyancy to hydrophytes. ⚈ As prosenchyma, stellate parenchyma it provides mechanical support. ⚈ As mucilage parenchyma stores water. ⚈ Secrete many substances like enzymes, resins, nectar, oils etc..
⚈ More or less elongated thin-walled cells but thick at corners. ⚈ Usually present in Hydrophytes of dicot stem, leaf margins, petiole of a leaf, the pedicle of flowers etc. 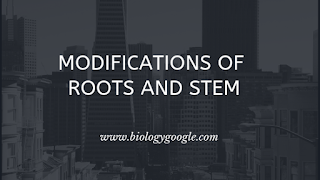 ⚈ Absent in woody parts of the plant [ showing secondary growth roots (except aerial roots of monestra , monocot stem]. ⚈ Contain a vacuolated cytoplasm. a) Lamellar or Plate collenchyma:- cells arranged in lamellar form and have thickenings or tangential walls e.g sunflower stem. b) Angular collenchyma:- Most common type and the deposition occurs at angles or corners of the cell wall e.g. Stem of Datura, Solanum, tomato. c) Lacunar or Tubular collenchyma:- Large intercellular spaces are present in this type and deposition occurs on the walls lying towards intercellular space. ⚈ It provides mechanical support to the growing parts of the plant. ⚈ It also performs photosynthesis as it contains chloroplasts. ⚈ Being present at leaf margins prevents them from tearing. ⚈ Long, narrow thick walled lignified but without protoplast and thus dead. ⚈ Found in the hypodermis of the monocot stem. ⚈ Pits are present on lignified walls. 1) Sclereids:- small, extremely thick walled irregular isodiametric but their ends are not pointed. Sclereids have very narrow lumen but a number of pits. Found in walls of nuts, pulp of Guava, Sapota (cheeku), seed coat of legumes, leaves of tea etc. Term Sclereid was given by Tscherch. seed coats and sometimes induce dormancy. Hardest seed coat among legumes is in French Bean. The hardest seed coat among all plants is in Lotus. d) Asterosclereids:- star-shaped cells found in leaves of floating hydrophytes e.g Victoria, Nelumbo, Nymphaea. 2) Sclerenchymatous Fibres:- Longest cells in plant body Thick walled cells with pointed ends and reduced lumen. Great tensile strength, flexibility, the elasticity of fibers enables the plant to withstand a variety of strains and tension. Fibres contain both simple as wells as bordered pits. a) Libriform fibres:- Highly thickened long fibres with simple pits and narrow lumen e.g phloem, pericycle, hypodermis fibres. b) Tracheidal fibres:- Thickened long fibres with simple as well as bordered pits but slightly broad lumen e.g xylem fibres. feature called the synovial cavity. The articulating bones of the synovial joint are covered by a layer of hyaline cartilage called articular cartilage. It covers them but doesn't unite or bind them together. Articular cartilage reduces friction and absorbs shock during joint movements. It encloses the synovial cavity and unites the articulating bones of the synovial joint with each other. It consists of two layers viz. outer fibrous membrane and inner synovial membrane. The outer fibrous membrane attaches to the periosteum of the articulating bones and mostly consists of collagen fibers. Due to flexible nature allows considerable movement at a joint, provides great tensile strength to prevent bones from dislocation. Bundles of fibers in the fibrous membrane, together called ligaments are one of the important means by which articulating bones in synovial joints are united to each other. The inner synovial membrane is made up of elastic fibers and areolar connective tissue. This type of layer in certain synovial joints is associated with the accumulation of adipose tissue called articular fat pads e.g. fat pads in the knee. Synovial fluid is secreted by the synovial membrane. It consists of two components hyaluronic acid and interstitial fluid.The former is secreted by the fibroblast-like cells present in the synovial membrane and the latter is filtered blood plasma. Due to the lubricating property of the synovial fluid, it reduces friction between articulating bones and absorbs shock. Synovial fluid provides nutrients and oxygen and removes carbon dioxide and wastes from articular cartilage (cartilages are avascular).